Brewed with 4 types of cherries, aged in oak for one year. 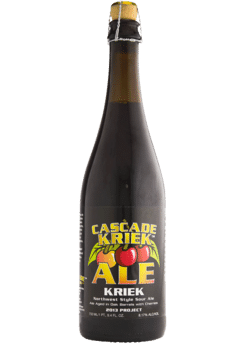 Cascade Kriek Ale spends over 6 months of lactic fermentation and aging in small oak barrels. This “Belgian Flanders Style Red Ale” is refermented with a blend of fresh whole Northwest cherries and then hand bottled.